New for 2018, featuring 3 x 50 Shot cakes with a mix of both straight and fan firing effects. This full flash compound really packs a punch and has the effects to go with it. 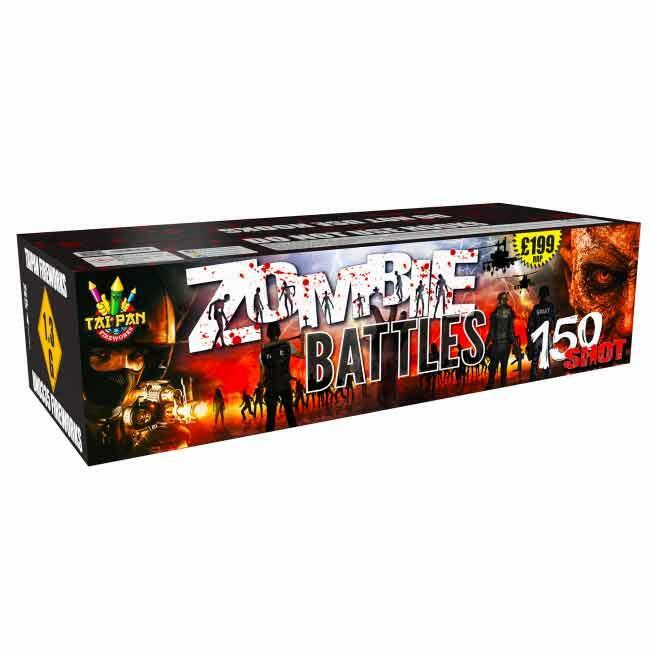 With a full spectrum of colours, including blue, orange, red, green and silver glitter, Zombie Battles is so good it’s scary!